perplexing conditions that may require a more holistic and nutritional approach.Chiropractic and massage combined with our traditional medical approach provides a complete quality of care. 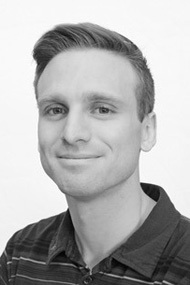 Dr. Kyle Ryley is a registered acupuncturist and traditional Chinese medicine doctor. He graduated from the Canadian Institute of Traditional Chinese Medicine. He then went on to further his study in China where he received a bachelor degree in traditional Chinese medicine from the Chengdu University of TCM. Prior to his study of TCM, Dr. Kyle competed as a national senior men’s artistic gymnast. Through training dozens of hours per week and pushing himself to the limit, he discovered ways of managing pain and optimizing performance. This didn’t only mean getting rid of the pain, but getting to the source of the problem so to keep the pain away for good and perform at his full potential. It was this quest for optimal performance that opened his eyes to the benefits of traditional Chinese medicine and it’s wide selection of effective treatment options. While training he worked with acupuncturists feeling first-hand the benefits of acupuncture, cupping and Guasha. He also sought out additional training in tai chi and functional movement to further enhance his understanding of how to move better, and correct the postural-movement dysfunctions that precipitate pain and injury. In the later stage of his competitive career, training demands compelled him to hone in and refine his understanding in nutrition and sports psychology. At the same time he pursued an undergraduate degree in philosophy at the University of Calgary. After hanging up his grips and retiring from the sport, he moved into a coaching role working with elite-stream provincial and national team gymnasts at the Calgary Gymnastics Centre for 15 years. Dr. Kyle sees health and performance as one and the same, where each person’s individual goals and pursuits are the vehicle and motivation to achieving health. He sees the health as a means rather than an end. Only once we are healthy and our symptoms are managed can we depart from survival-mode and truly live with purpose and fulfillment. Whether that goal is to become Olympic champion, playing hockey with the grandchildren on Sundays, or relieving migraines or digestive issues that are inhibiting productivity within your profession, Dr. Kyle provides a holistic treatment plan that is specific to achieving these goals and addressing your individual health needs. His treatment plans are two-fold, taking into account both the direct treatment of the condition and symptoms that are causing distress, and also providing the significant modifications to lifestyle that will support a long-term solution. With extensive experience as a coach prior to his practice in TCM, he has a special expertise in the progression of breaking down large goal into smaller attainable steps, enthusiastic and motivational communication, as well as strong attention to detail in what he does. In many ways he considers himself to be more of a coach than a doctor, as he trains the body in a way that allows it to heal itself. To ensure the best possible treatment Dr. Kyle implements a large variety of acupuncture techniques, TCM herbal medicine, cupping, Guasha, Tuina massage, and customized exercises.